Physical therapists (sometimes abbreviated to PTs) are health care professionals primarily concerned with the remediation of impairments and disabilities and the promotion of mobility, functional ability, quality of life and movement potential through examination, evaluation, diagnosis and physical intervention. Core Physical Therapy hires only the most skilled and dedicated professionals that will work with their patients to ensure the highest level of quality care. Physical Therapy is the collaborative problem-solving process and Jason enjoys guiding his patients back to their physical best. Outstanding patient outcomes are a product of thorough examination with accurate diagnosis, patient education, and a combination of manual therapy and focused rehabilitative exercise. He believes that restoring the optimal biomechanics through manual therapy expedites the healing process and thoughtful exercise prescription maintains the patient’s improvement. Working together, his patients and him identify, plan, and solve pain and physical limitations. Amy earned her Doctorate of Physical Therapy Degree in May of 2014 from Mayo Clinic in Rochester, Minnesota. Prior to attending physical therapy school Amy graduated from Augustana College in Rock Island, IL with a liberal arts degree in both biology and psychology. While at Augustana Amy competed in track and field as a sprinter and hurdler. It was during this time she grew her interest in physical therapy, with personal experiences in physical rehabilitation, and developed a passion for health and wellness. 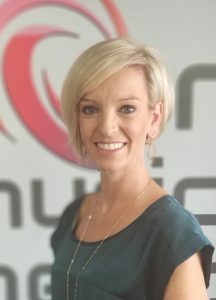 Amy prides herself on her advanced manual therapy skills and highly specialized and individualized evidence based treatments to safely return her patients back to an active and athletic lifestyle. She treats her patients holistically with the goal to address the primary cause of pain rather than simply treating the painful structures. She takes into consideration her patient’s lifestyle, work and home environment, and level of physical activity in her plan of care, tailoring each patient’s treatment to efficiently and effectively reach their specific goals. As an athlete she understands the importance of return to sport. Amy provides an individualized rehabilitation program to help each patient achieve their goals and stay on track for their next event- whether it be a marathon, paddle match, yoga, or playing catch in the backyard with their children. Amy also emphasizes a focus on educating her patients so that each patient feels confident and independent when graduating from physical therapy; that they understand their condition, and how to prevent or manage their pain/condition. Amy enjoys working with a wide variety of patients: from the recreational athlete, to the professional athlete, to the retiree. She has specialized training in Women’s Health and Pelvic Floor Therapy (learn more here! ), running Video Gait Analysis, joint mobilization and manipulation, and dry needling. Outside of work Amy enjoys living an active lifestyle running, hiking, and playing recreational sports. She enjoys traveling to new places with her husband, and exploring the great city of Chicago. Caitlin earned her Doctorate of Physical Therapy in May of 2014 from Rosalind Franklin University. She has since furthered her skills by participating in courses focused on Orthopedic Diagnoses, Sports Medicine, Functional Based Movement, and Manual techniques. She is committed to a collaborative approach, working with patients and their physicians to create an appropriate plan of care for each individual. Her communication and relationship-building skills contribute to a positive environment for patient success. Her interest in Physical Therapy began in high school due to injuries experienced through varsity softball and basketball. She has continued her love for athletics by picking up cycling at Indiana University where she road in the largest amateur bike race in the nation, the Little 500. She continues to participate in recreational sports through the Chicago Players and Sports Group as well enjoys spending time with friends exploring the city. Caitlin also donates her time to Girls in the Game, a non profit organization dedicated to promoting confidence and leadership to young women through sports and leadership programs. Nick’s interest in physical therapy started after dealing with shoulder and lower extremity injuries playing club volleyball in high school and during his years playing club volleyball at the University of Wisconsin – Madison. While in Madison he earned his bachelor’s degree in Dietetics through the Department of Nutritional Sciences and obtained his Doctor of Physical Therapy at Clarke University. Nick is a board certified orthopedic clinical specialist by the American Physical Therapy Association. He has also obtained his Selective Functional Movement Analysis Level 1 and Level 2 Certifications through Functional Movement Systems. He is a Graston Technique provider and is trained to perform Video Gait Analyses for runners. He is also trained to provide manual therapy techniques including joint mobilizations, joint manipulations, and has the ability to prescribe therapeutic exercises required to assist his patients in returning to their premorbid functional level activities. Nick’s treatment philosophy derives from his clinical experiences within the sports medicine and orthopedic fields. He draws from evidence-based practice guidelines to ease his patients’ return to independent and functional activities without pain and discomfort. He focuses on dysfunctional movement patterns and how different anatomical regions of the body can play a role in finding the sources and the causes of pain. His problem-solving approach to treatment allows Nick to look past the medical diagnosis and figure out why the diagnosis was made. He enjoys working with a wide variety of patients, but Nick particularly enjoys working within the field of sports medicine. His interests include working with overhead athletes, recreational runners, power and Olympic lifters, and working with individuals that participate in CrossFit, weightlifting, and powerlifting. When he is not treating patients, Nick enjoys traveling, spending time with his nieces and nephews, as well as finding new places in Chicago (and returning to his hometown of Skokie) to grab a good meal. He also likes to stay active by participating in CrossFit, playing volleyball, and hiking. 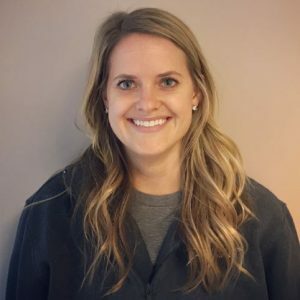 Sarah is an experienced Hand and Upper Extremity Occupational Therapist, she works directly with Orthopedic Surgeons in the Chicago Land Area to customize treatment for both conservative and post surgical Occupational Therapy needs. Understanding your individual diagnosis and/or surgery as well as the resulting treatment—her philosophy is to treat each patient with the best individual care available. The goal of both Core and Sarah is to reinstate your quality of life as quickly as possible by restoring your ability to execute daily tasks. Sarah is skilled in treatment of the elbow, hand, thumb/fingers, which may include custom orthosis fabrication and adjustments, wound care, kinesiotaping, joint mobilization, tendon and nerve injuries, fractures, static and dynamic bracing, ergonomic education, modalities, suture removal, assessing the physical capability and accordingly altering the medical therapy plans and utilizing various therapy tools as needed. Additionally, Sarah will work closely with your physician to effectively and safely carry out the rehabilitation procedures of her patients. Continuing Education: A Certified Hand Therapist (CHT) obtains advanced clinical skills and theory in upper quarter rehabilitation. Linda has been working in office administration in the outpatient physical therapy field for 10 years, and has been a member of the Core Physical Therapy family since November 2016. 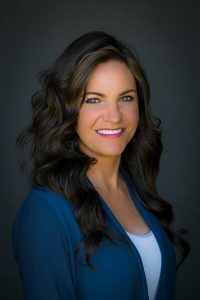 She holds a background in gymnastics and dance, which first developed her interest in sports rehabilitation; though she enjoys having the good fortune to work with and advocate for a diverse patient population. She first began her work in the rehabilitation arena as a therapy technician before developing her role in office management and practice administration. Linda loves the field of physical therapy, specifically to allow its practitioners to accompany patients on their journey toward better health and to empower them through ongoing education. Anthony’s interest in physical therapy was sparked by a debilitating lower back injury during high school track and field training and competition. He had a very positive experience with his physical therapist and was able to return to competing at a high level, pain free. Anthony went on to earn his Bachelor of Science degree in Kinesiology from the University of Illinois at Urbana-Champaign, where he also was a member of the Men’s Track and Field Team. He earned his Doctor of Physical Therapy degree from Northwestern University, and as a doctoral research project, he co-authored a study investigating effects of human error on the outcome of patients following computer assisted total hip arthroplasty as it relates to function and rehabilitation. Anthony has worked in the outpatient orthopedic realm since graduating from Northwestern in 2010. 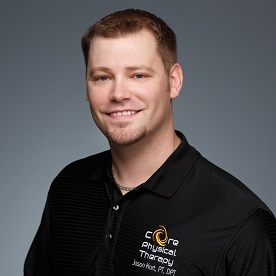 He has been a member of the Core Physical Therapy team since March 2015. As a means to continue developing exceptional clinical skills, he has received advanced training, and is certified in manual therapy through the North American Institute of Orthopaedic Manual Therapy. He is also certified in dry needling for treatment of myofascial pain through Myopain Seminars. Anthony is skilled in the effective treatment of a variety of spinal and peripheral neuro-orthopedic dysfunctions. 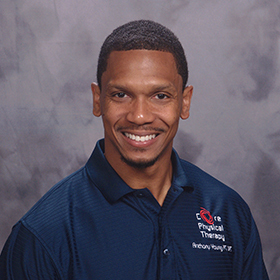 He strives to provide comprehensive care including manual therapy techniques, neuro-muscular re-education, and functional strengthening specific to each patient’s diagnosis. As a former high level student-athlete, he has a passion for working with the injured athlete at every level and age group. He understands the importance of a speedy and safe return to optimal level of performance, and provides for each patient the positive rehabilitation experience necessary to achieve this ultimate goal. 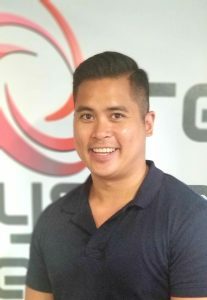 Outside of work, Anthony enjoys spending time with his wife and two children, staying active through weight training, playing flag football in the spring/summer and snowboarding in the winter. Kaitlin’s first introduction to physical therapy came when she dealt with chronic ankle sprains in high school while playing varsity basketball and running track. At the University of Michigan, she earned her Bachelors of Science in Brain Behavior and Cognitive Psychology; she then earned her Doctorate of Physical Therapy from Emory University. Kaitlin proceeded to further her knowledge of exercise and injury prevention by earning credentials in Strength and Conditioning specialist and dry needling. Following her graduation from Emory, Kaitlin remained in Atlanta practicing physical therapy at an outpatient sports medicine clinic while continuing to further her education and skill set by becoming a Pilates Mat Certified instructor. Following a move to Seattle, Kaitlin specialized in pediatric and adolescent sports medicine and enjoyed working with middle school, high school and collegiate athletes. In Seattle, Kaitlin became certified in the Schroth Method: a scoliosis specific exercise program that aims to prevent curve progression in juvenile and adolescent idiopathic scoliosis (learn more here). Also in 2017, Kaitlin earned a Sports Certified Specialist designation, furthering her interest in treating the sports orthopedic population. Kaitlin recently relocated to Chicago and is enjoying the midwest once again. 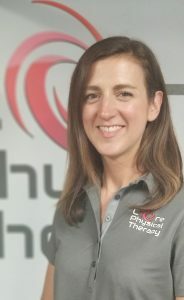 Kaitlin’s specialties and focus has been outpatient orthopedic physical therapy, manual therapy, functional exercise based training, dry needling, Schroth Therapy for Scoliosis, and sports orthopedic injuries. She also enjoys performing biomechanical evaluations with a special focus on runners to improve efficiency and decrease pain. Outside of work Kaitlin enjoys running with her husband and golden retriever on the lakefront trail, going to spin and barre classes, and trying new restaurants and local spots in the city. She also has a love for traveling and exploring new cities.